The Pocket Oxford English Dictionary describes the noun “breeding” as follows: “upper-class good manners seen as being passed on from one generation to another”. It also describes “to breed” as follows: “to mate and produce offspring”. The term ‘middle class’ may be used either as a measure of economic wealth or as a barometer as to how a particular sector or class in any society behaves or conducts itself. In either definition it is distinguished from the poor and the rich or upper classes. Whilst earning power is often most used to delineate the middle class from the other classes it is not the only established indicia for doing so. 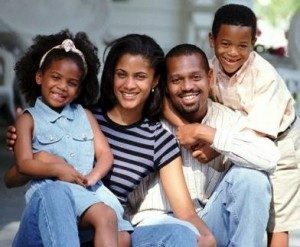 In a World Bank report carried in the Jamaica Observer on 14 November, 2012 on the emerging middle class in the Latin America region, the World Bank opined that across the region in financial terms, the middle class earned between US$10 and US$50 per day. In a five-day work week at the upper limit this amounts to US$12,000 per annum. In its 2016 report the World Bank stated that the Gross National Income per capita for Jamaica in 2016 was US$4,660. By a per capita income definition, Jamaica is not a middle class country. The middle class in any society tends to represent the core of the society, both in terms of values and behaviour and in economic terms of the particular society. It is a barometer of normalcy. It is the manifestation of societal norms. Typically, behaviour, other than middle class behaviour, that is aberrant behaviour, amongst the poor is characterised as “worthlessness” and amongst the rich as “eccentricities”. Traditionally, the middle class has been defined not only by its behaviour as a fairly homogenous group, but is characterised by the values of hard work, education, savings and a meritocracy. The middle class provides leadership in all of the leading institutions in a society, the church, the judiciary, education, the media, political parties and social groupings such as service clubs and sporting bodies. That Jamaica needs a larger middle class is as obvious as the need to reduce crime in the island. That education (and a job thereafter) is the clearest path from the poor to the vulnerable class and then on to the middle class is also fairly obvious. As a general rule middle class countries and middle class families have lower birth rates than the poor and vulnerable classes. This, too, is true of Jamaica. In a country such as Jamaica with its financial, educational and societal challenges the birth rate challenge compounds the problem and is the beginning of a double whammy. It means that a country with an already small middle class and structural impediments to progress from the other classes to it, is being pushed further into poverty by relatively higher birth rates amongst the poor than the middle classes. To the average middle class couple in Jamaica the question is, who will your daughter marry? The Jamaican middle class with its middle class breeding needs to breed more.